Samsung has launched an ‘Enterprise Edition’ of the Galaxy Note 8 that comes with business-focused software features designed to add security to sensitive information. Talking about the new smartphone, Samsung VP Eric McCarty said that the objective behind releasing such a device is a pressing need to maintain a balance between corporate and personal. Describing it as an “IT paradox”, McCarty pointed out the inherent conflict most large enterprises are dealing with when it comes to their mobile strategies. He called it “a push and pull between what they (enterprises) require of IT to keep organizations secure and productive, and what their employees have come to expect when using mobile devices”. 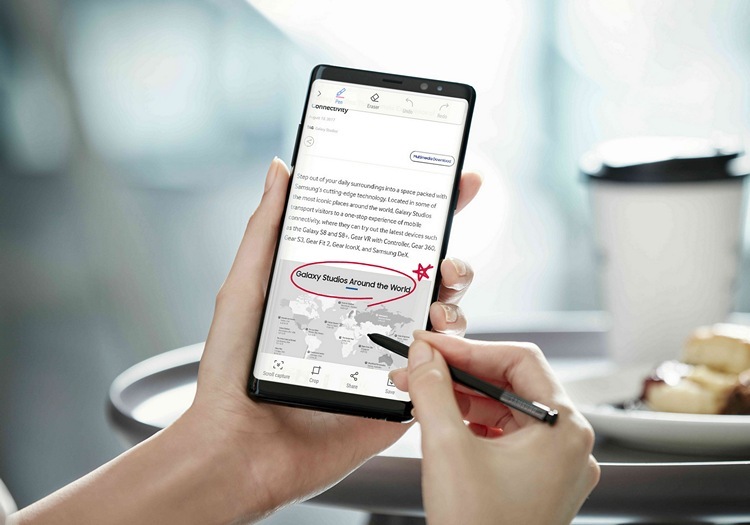 The Galaxy Note 8 Enterprise Edition was originally announced earlier this week, and is available for purchase for $994 via authorized Samsung channel partners in the United States. It is, however, only meant for corporate deployments, so you cannot get one off-the-rack. There’s no word currently on whether the device will be launched in India, but if it is, expect prices to be on the higher side. While hardware components remain identical, the device comes with a few new software features that Samsung believes will make it a preferred alternative for the iPhone in the enterprise segment. Samsung laid out a couple of key features of the Galaxy Note 8 Enterprise Edition. First off, the devices offer both Samsung Knox Configure and Samsung Enterprise Firmware Over the Air (E-FOTA). The company hopes that this will “reduce downtime and simplify the complexity of enterprise-wide smartphone deployments”. In simpler terms, the Knox Configure allows IT departments remotely configure the devices in their organization for better security, while E-FOTA enables IT admins to use a unified, centralized interface to update devices in their network. Secondly, the device brings “PC-class product lifecycle support services to the smartphone”. Which in this case, means monthly security updates for up to three years. Samsung is also offering a “purchase assurance” that the model will continue to remain available for purchase for up to two years from the day of availability. It will be interesting to see if Samsung’s latest efforts will help it loosen the stranglehold Apple has over the enterprise sector at the moment.